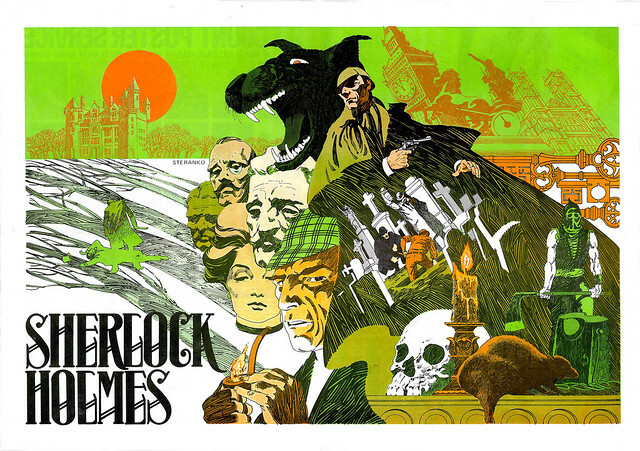 Here is a nifty poster featuring Sherlock Holmes by Jim Steranko. From MediaScene magazine back in 1975. Where is the outlet for all Steranko’s creative energy now? Must be many pieces of unpublished artwork in his home Nuff Said! The first time I ever saw any Steranko art was his short time on Captain America - UK b/w reprint of course, but then Captain Britain came out in 75 and Nick Fury was the third strip - in colour! Steranko's Fury completely blew me away. I was trying to draw like him for ages when I was 10!